If you have a vacant home you’re looking to sell, there may be several things you haven’t considered. 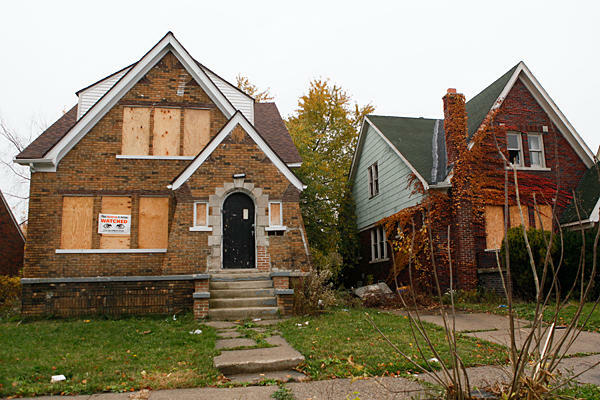 As you may or may not know, vacant homes are more prone to being damaged either by lack of care or by criminals (break ins, vandalism, etc.) Here are several ways to minimize avoid becoming a victim to criminal damages. Don’t leave it empty. Having a vacant home doesn’t mean you have to have an empty home. Whether you pick up some cheap furniture or have some old stuff in the basement, make the home have a feeling of a home and not just a house. This will also help when listings are up. Furniture in the photos may imply that someone is residing there. You may even want to keep curtains up to avoid making it obvious that the home is empty. Let people know. Reach out to your neighbors and the police and make them aware that the home is vacant and is in the process of selling. Ask them to help you keep an eye on it and also check in from time to time yourself. Have a good security plan. In addition to asking for people to help you keep an eye on it, make sure your doors and windows are securely locked. It may very well be worth your while to set up a security system. Have a presence at the home. If you live pretty close you might want to consider going over in the evenings to turn a light on. Check the mail at least every few days and pick up any newspapers or fliers that are left at the front door. Having too much pile up of anything will indicate to criminals that either 1) nobody is home or 2) nobody lives there. Keep it presentable. Not only should you be cleaning up mail and fliers, but you should be keeping the outside appearance up as well. Rake leaves, shovel snow, and mow the grass as needed. If you’ve sold your vacant home, what did you do to keep it safe?